Projects Abroad has spent over 25 years helping volunteers and interns fulfill their potential and make the world a better place. In the days before the internet, smart phones and budget airlines, an English University Professor and some overseas colleagues had an idea: What if young people could become international volunteers? They could learn new skills and contribute to communities at the same time. That was over 25 years ago and we’ve never looked back. 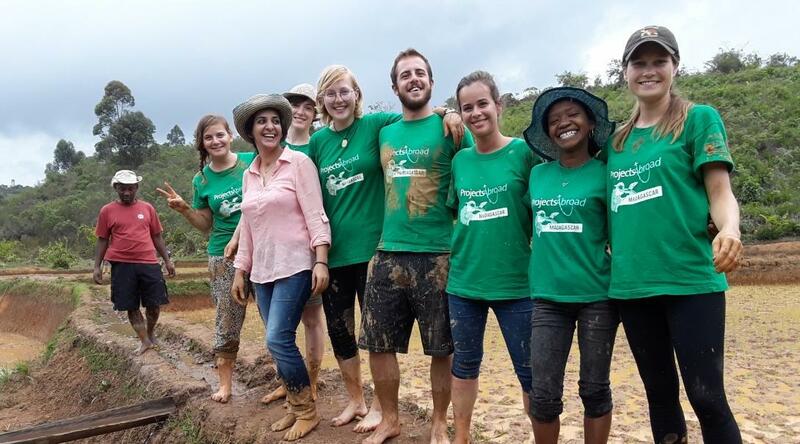 While plenty of other companies have followed where we lead, we’re still the gold standard in international volunteering and internships. Every Project is built on our commitment of: safety, hassle-free travel and making a real impact. Our staff are all either in-country locals who we train and support, or ex-volunteers, who have been there, experienced the projects and seen what a difference they make. Our plans for the future are big. We believe that international volunteering and internships provide a defining experience for young people as they move from adolescence into adulthood, and we know that the work we do transforms communities. We’re making the world a better place, one volunteer at a time. We’re here to provide the gold standard of support and safety, so our volunteers and interns can fulfill their potential, discover themselves and create positive change in the world. We’re dedicated to helping our volunteers, interns and staff discover what they’re capable of. We want to help you turn your passion for positive impact into real change in the world. We want to empower people to explore the world, experience different cultures, and truly understand the specific issues in the places they visit. We know that this process changes individuals as well as the communities they travel to. We have learnt that real connections are at the heart of the volunteer experience, and when people with different backgrounds and skills come together, anything is possible. Our model is one that works for volunteers and interns, as well as the communities we are in. We plan, monitor and evaluate all our projects in close consultation with local communities, conducting rigorous impact assessments as standard practice. This means that volunteers can truly contribute while they learn and grow. All our projects add significant value to the environment, to local people and the organisations they support. Projects Abroad (UK) Ltd (Company Number: 02478906), Projects Abroad (Europe) Ltd (Company Number: 02738781) and Projects Abroad Travel Ltd (Company Number: 03746636) are all members of The Projects Abroad Group and are all companies registered in England. Our registered address is Telecom House, 125-135 Preston Road, Brighton, BN1 6AF. Our VAT number is 692978855.